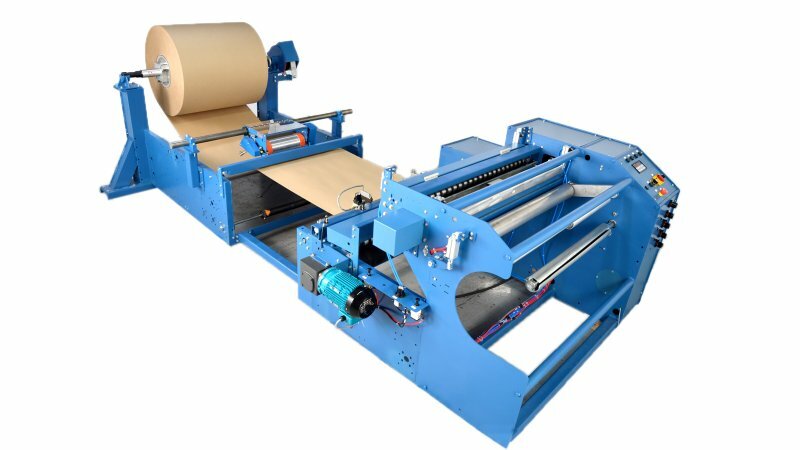 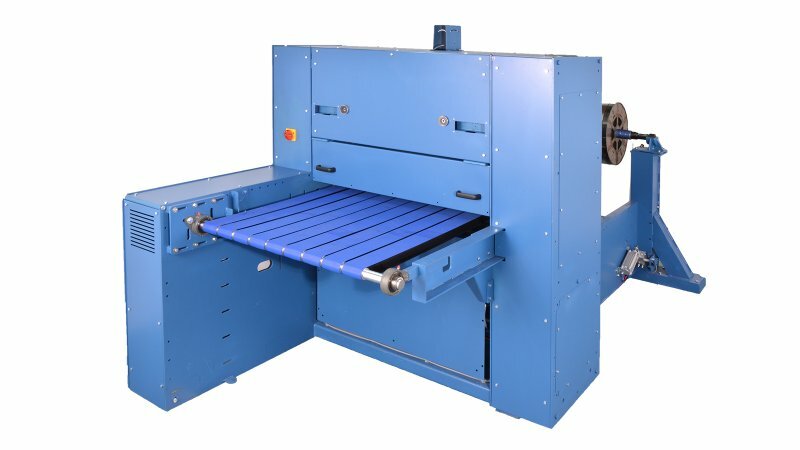 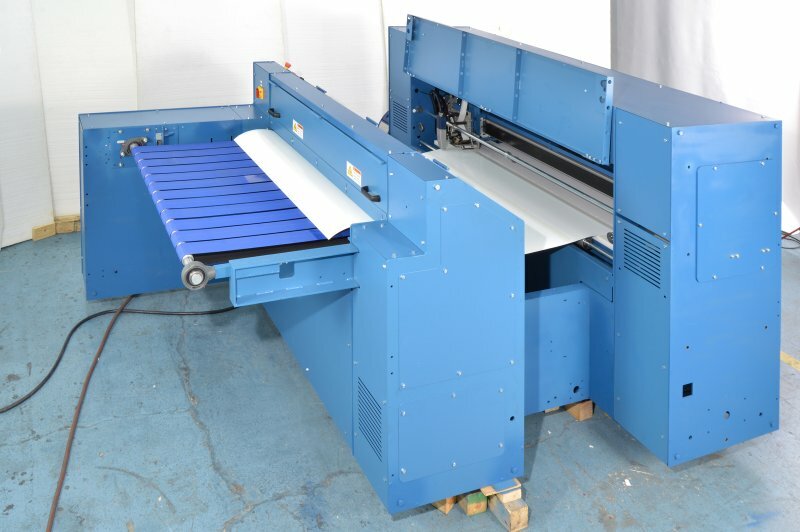 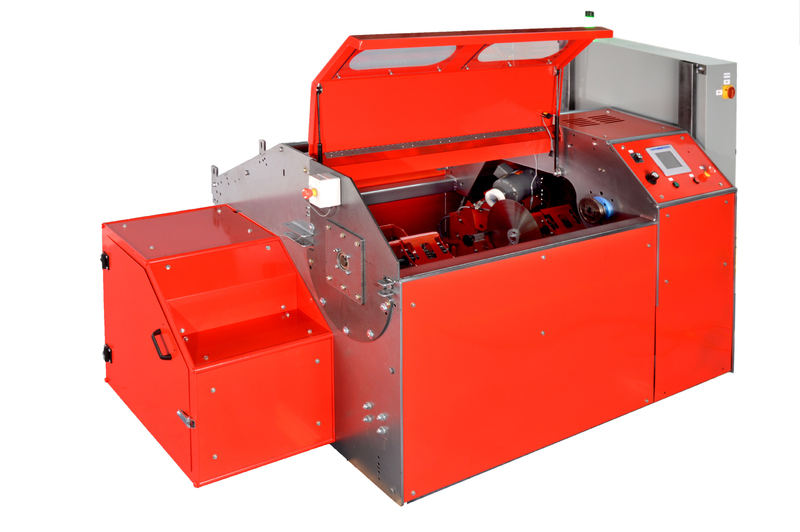 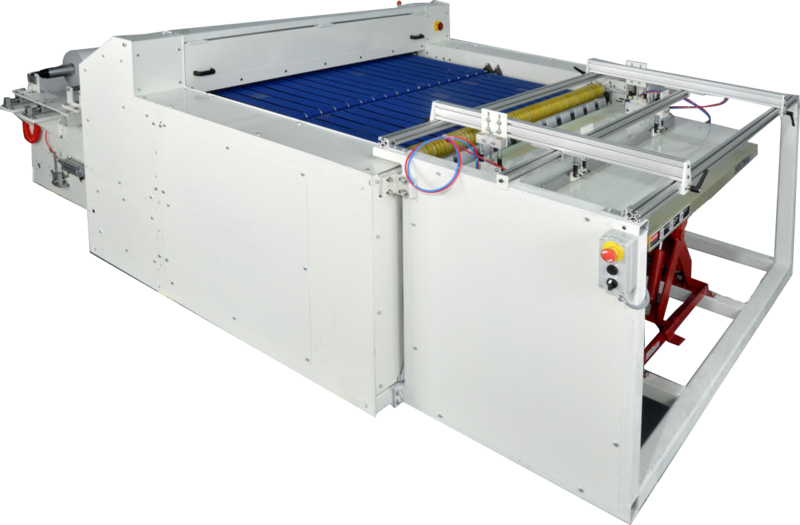 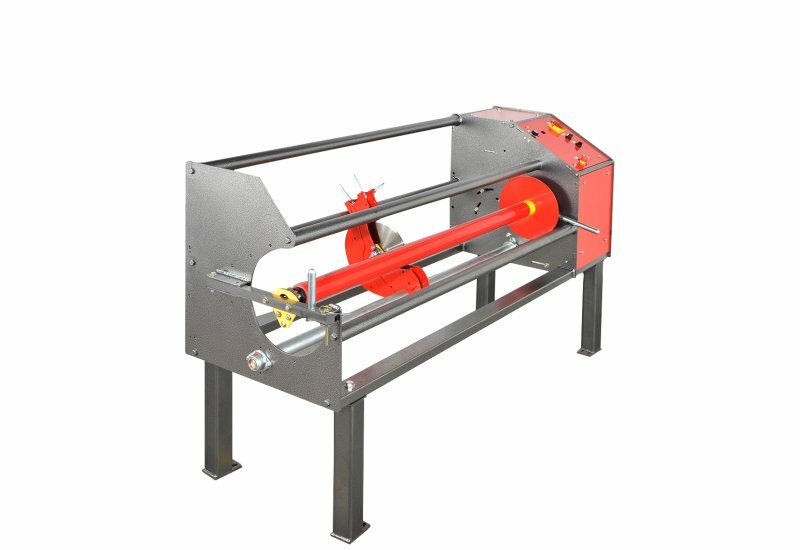 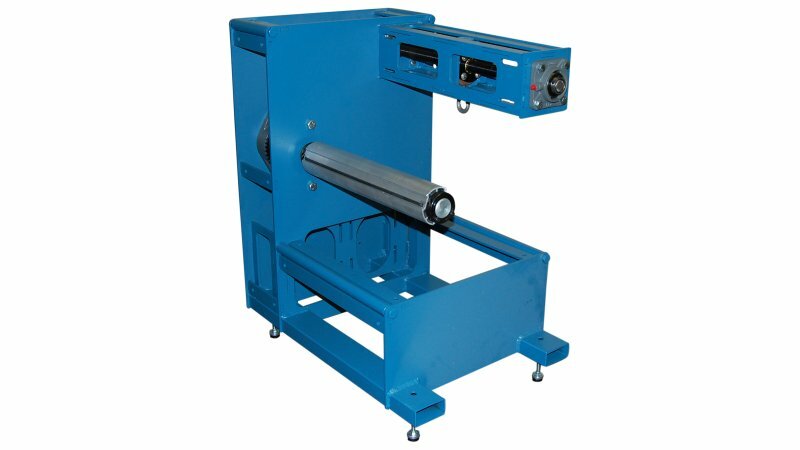 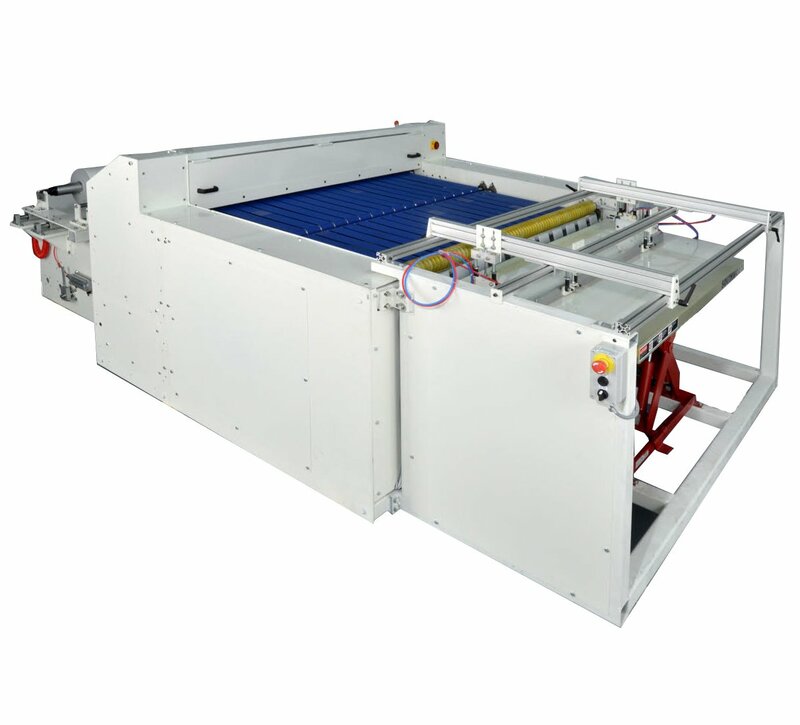 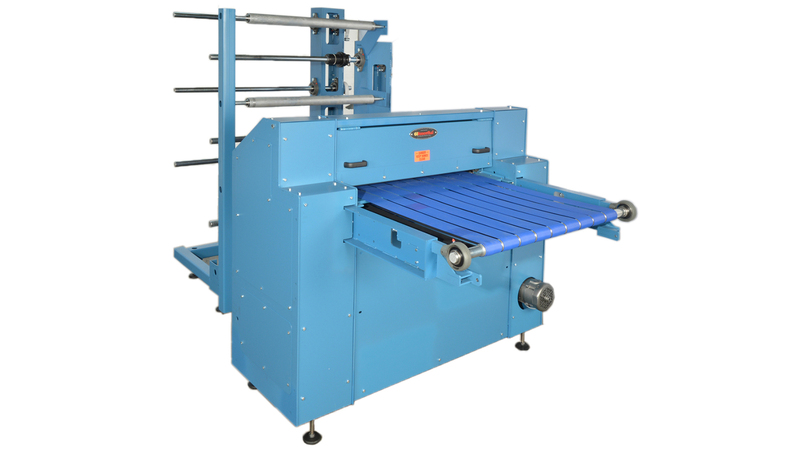 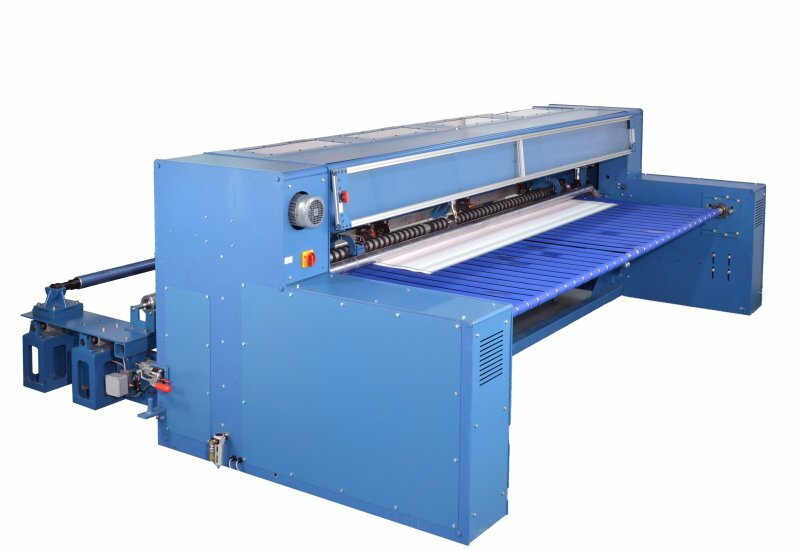 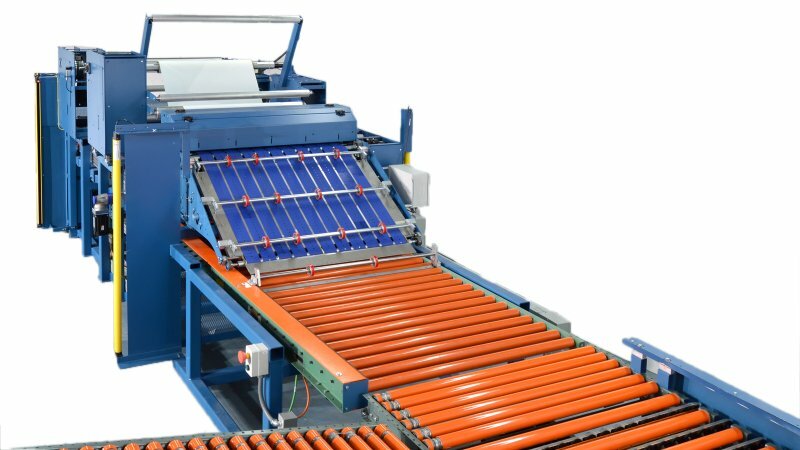 The Rosenthal RSA Automatic Roll Slitter with powered blade is the perfect solution for your high volume roll slitting requirements. 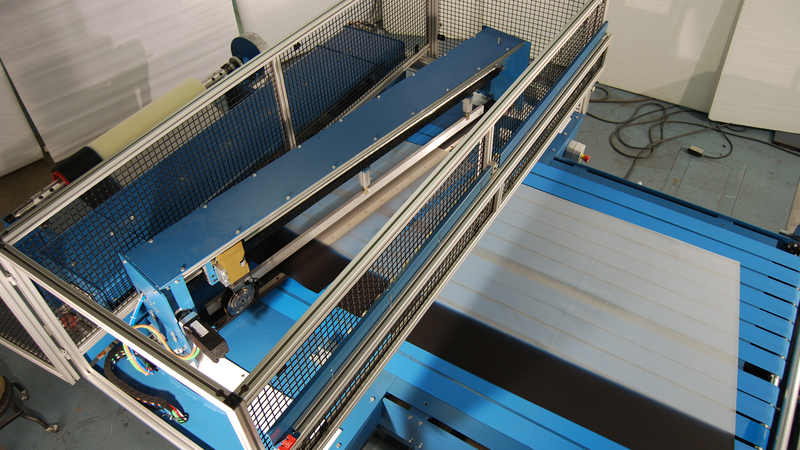 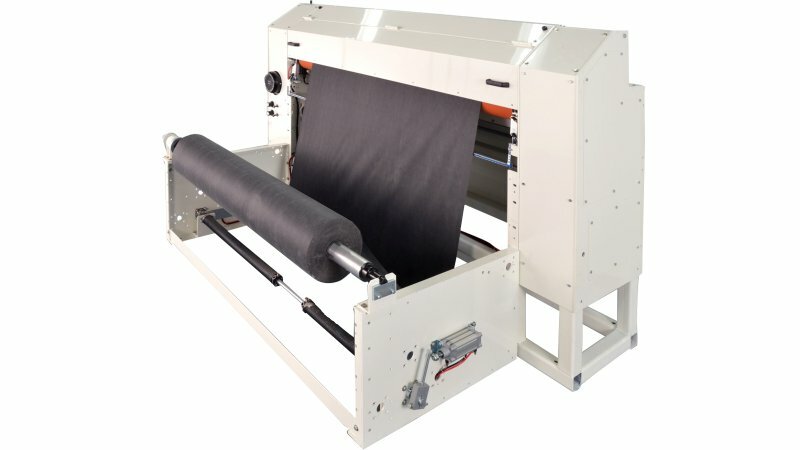 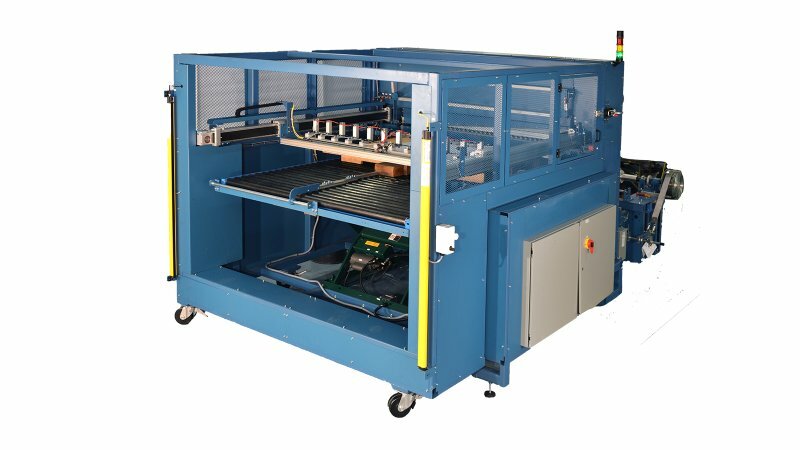 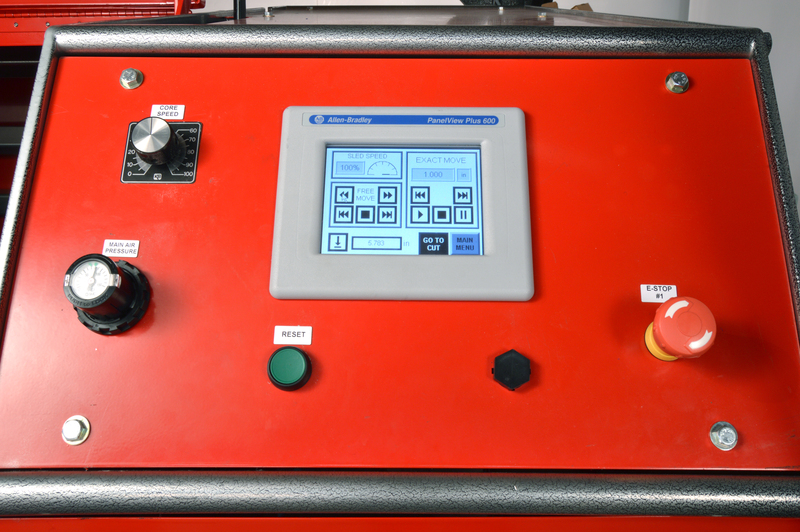 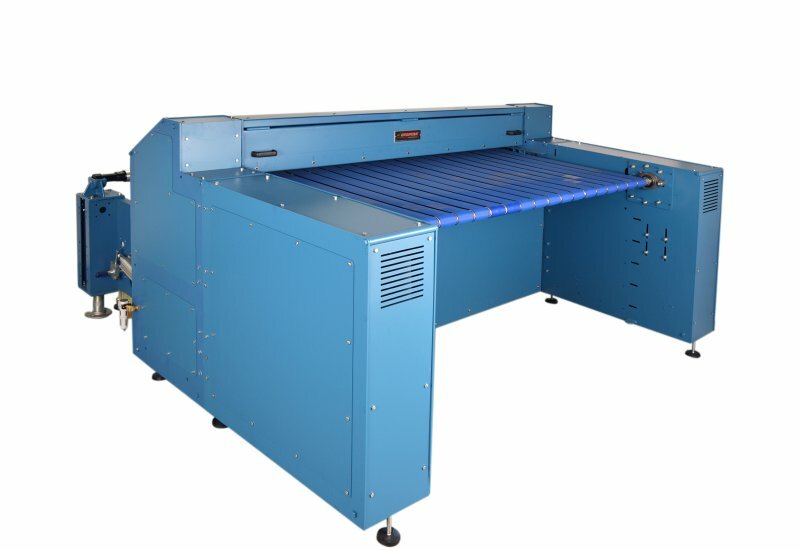 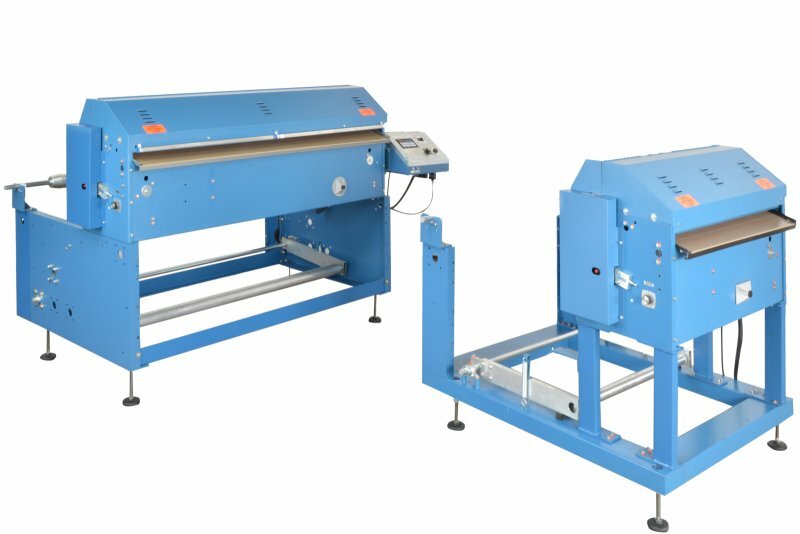 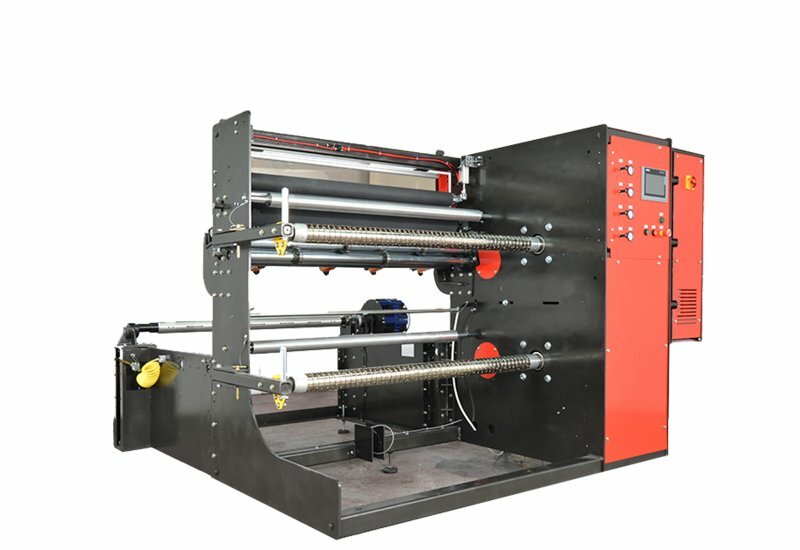 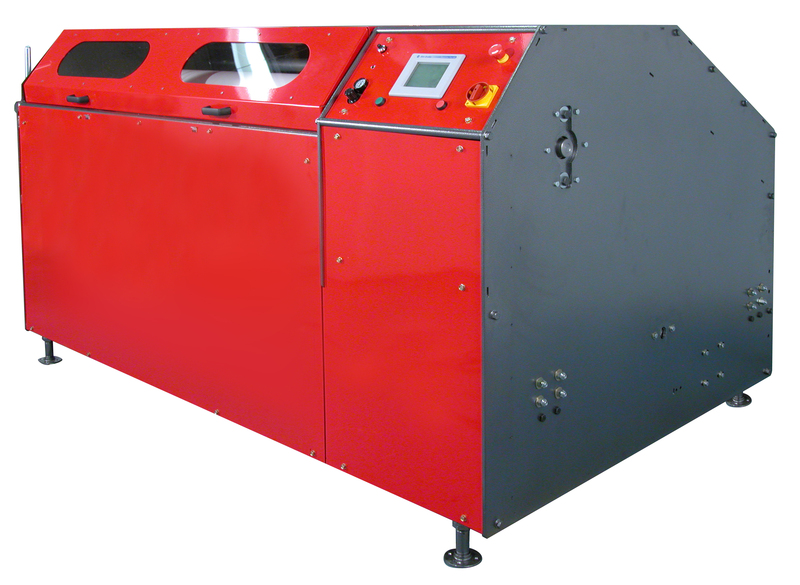 Select your widths and number of slits from the Color Touch Screen and the RSA quickly slits through rolls layer by layer down through the core without unwinding and rewinding, eliminating time consuming setup. 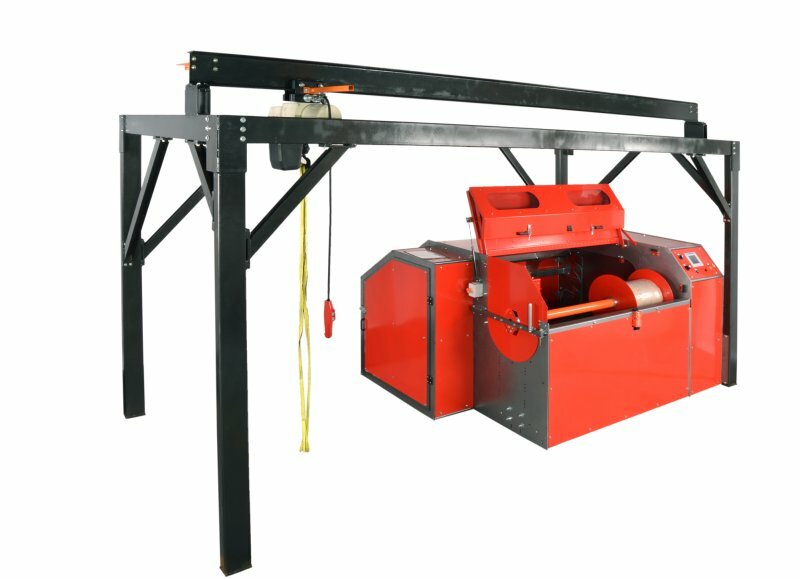 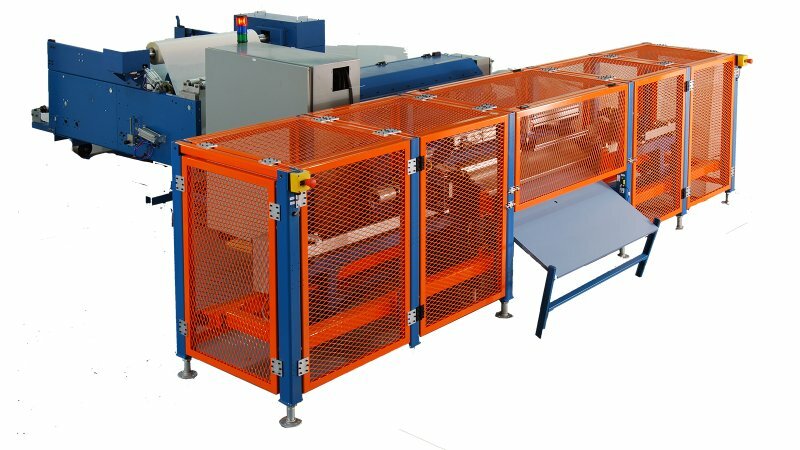 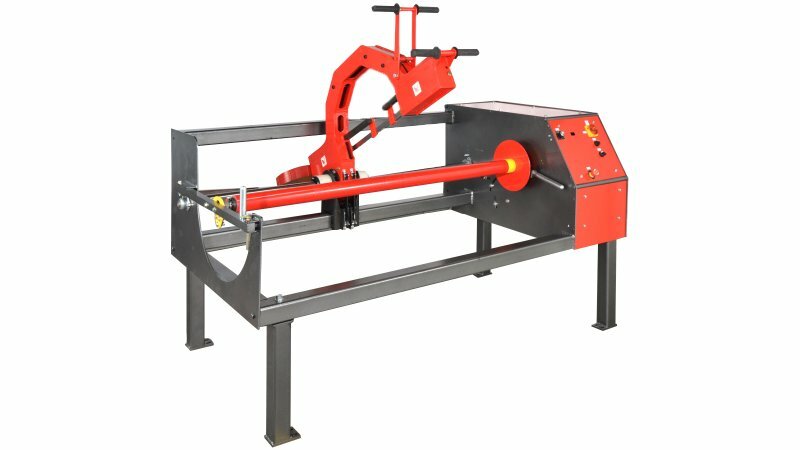 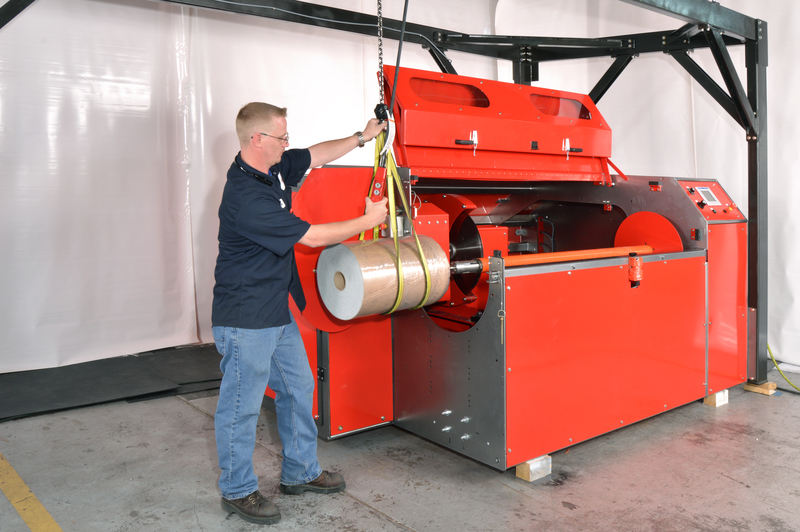 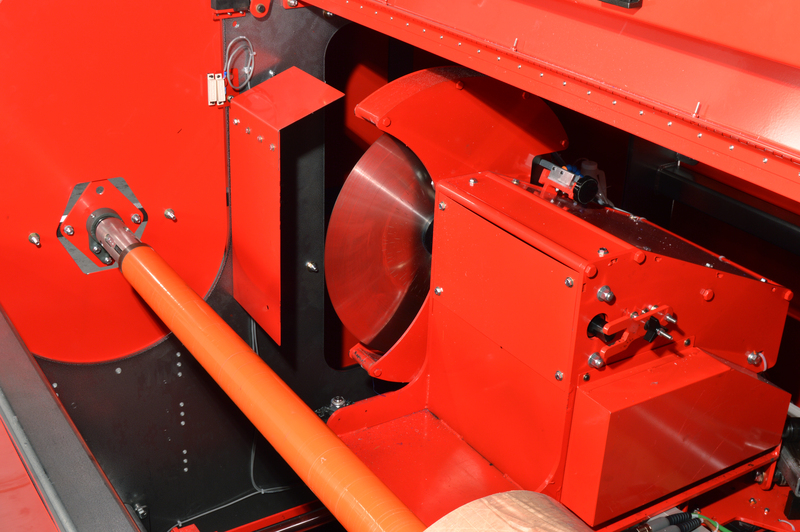 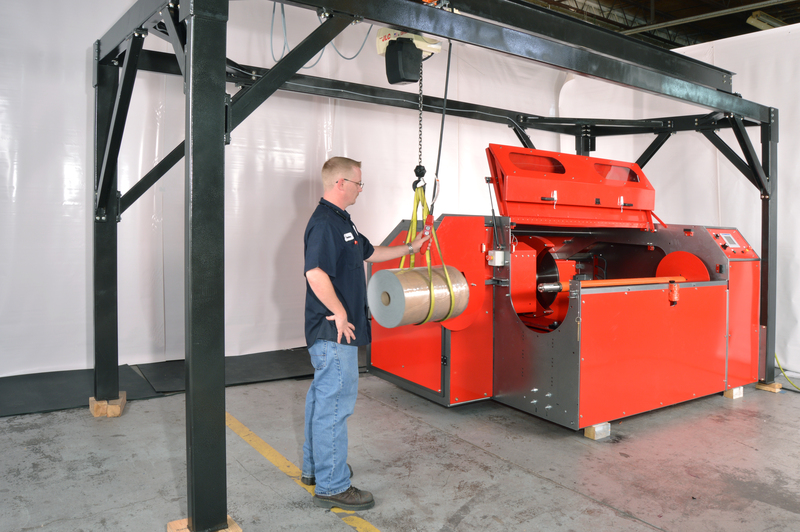 The RSA can be equipped with a round blade, saw blade or band blade to slit a wide variety of materials. 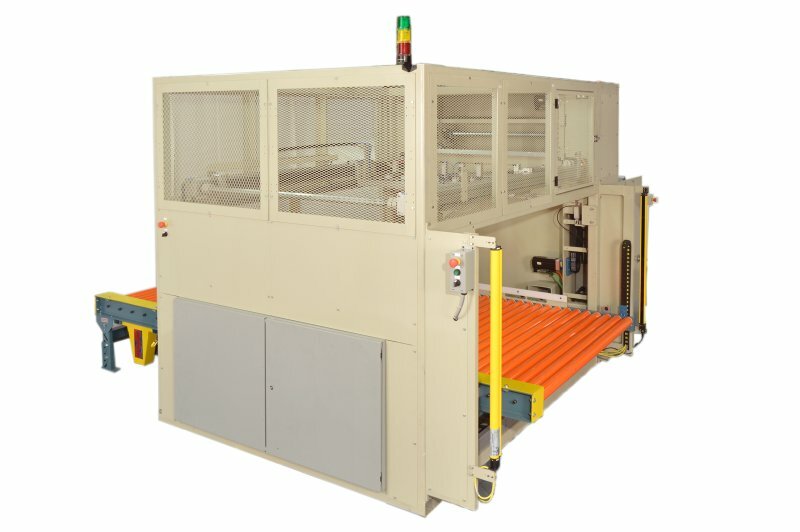 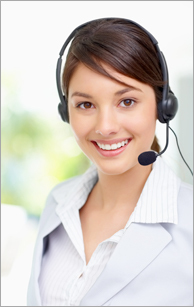 The RSA is built to order and is available in various web width and OD capacities. 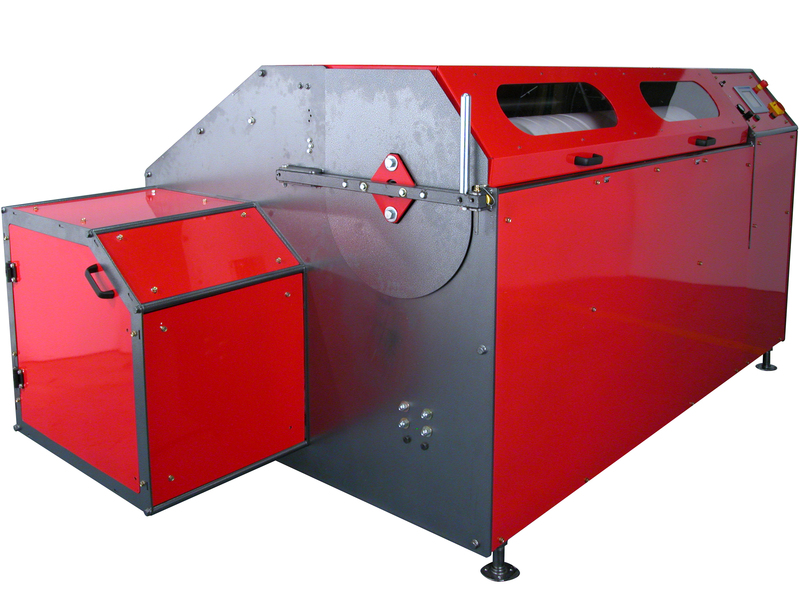 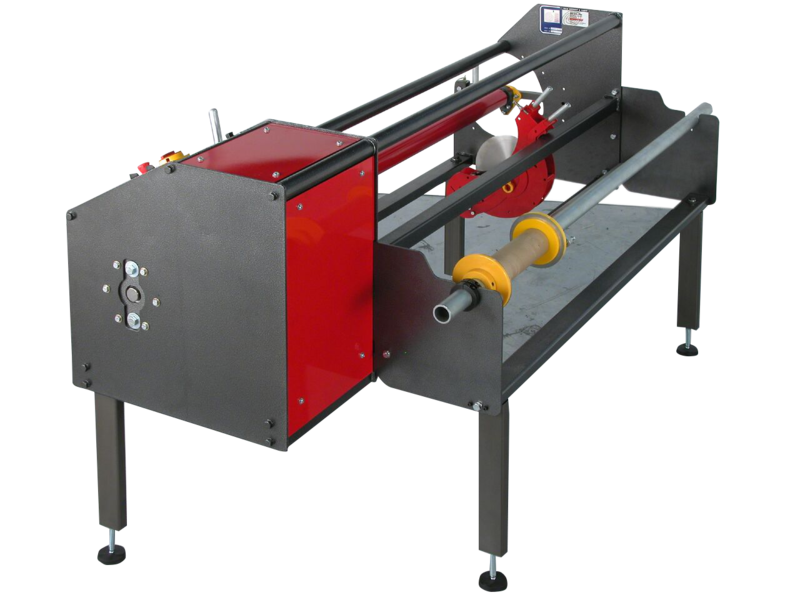 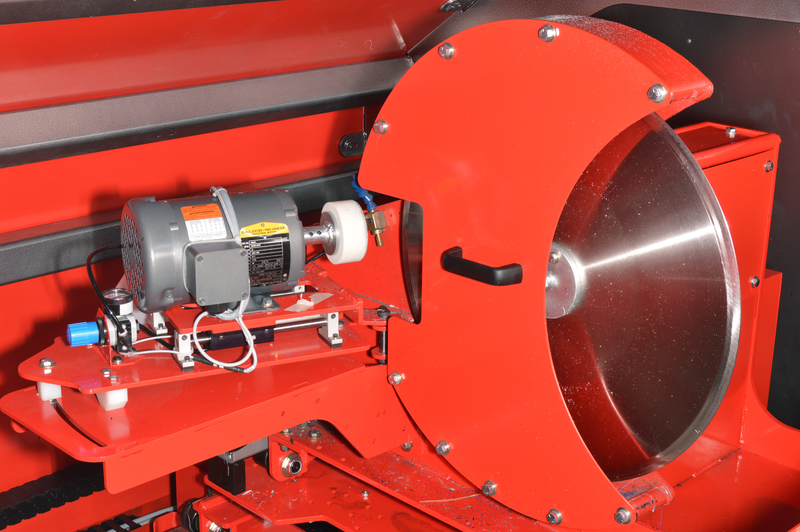 Additional features such as, auto cut-off, rewind and dual blade configurations are available. 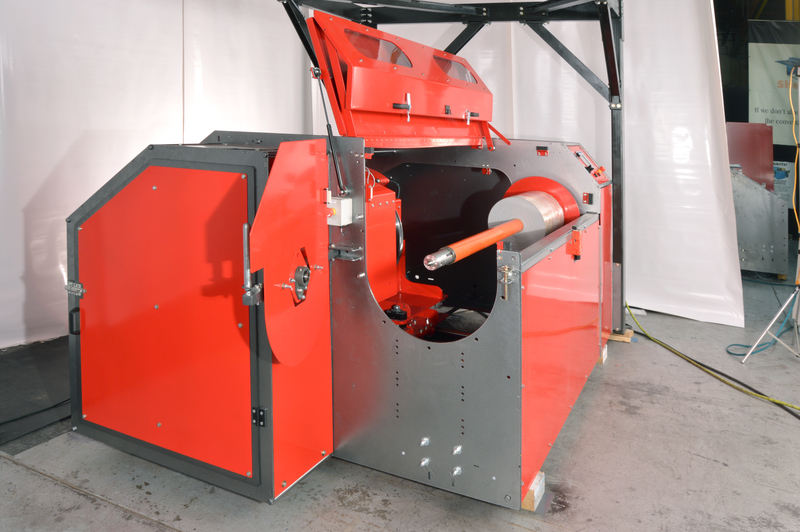 Maximum Roll Diameter 10", 14", 20", 30", 36"
Maximum Roll Width 62", 74", 98", 126", 197"
Positioning Accuracy +/- 1/32", +/- 1/64", +/- 1/128"